After consecutive weeks of enjoying the braised duck delights from Happy Hawkers, I had finally switched the choice of my appetite and headed for their Yong Tau Foo. 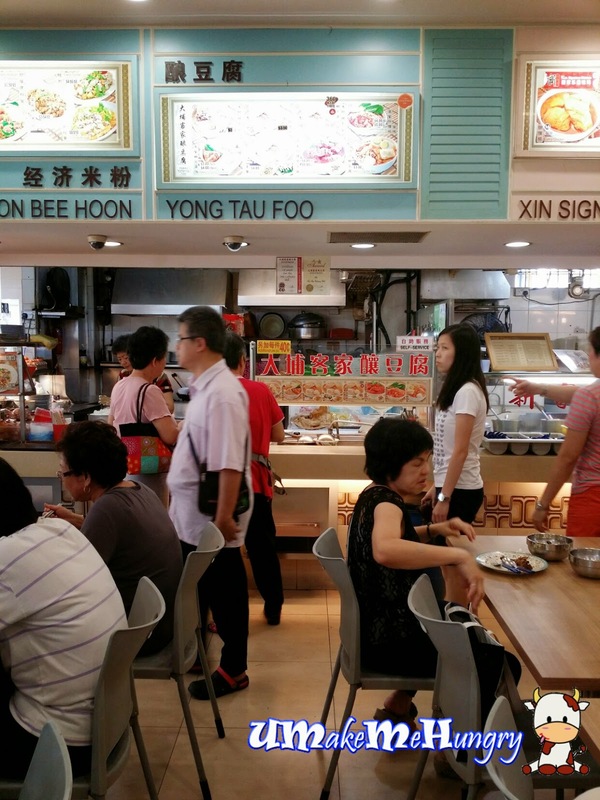 Normally Yong Tau Foo will not really appeal to me unless there is something special about it. In this case, it's the Hakka's and it seems like I cant order without leaving the hawker. So far as I know, the Hakka version is known for its "Q" noodles laded with tasty minced meat on the them as they served. 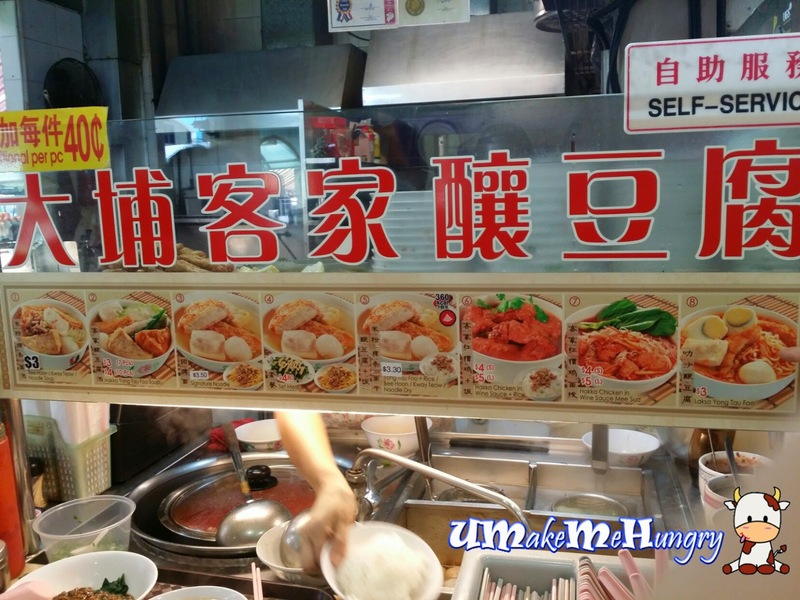 The usual YTF items is usually selected by the customer, placed them in a bowl and handed over to the helpers but in this case, items were fixed and no selection is needed. The helpers were just too generous with the portion of Noodles and minced meat. The noodles was springy and mee pok look-alike just that they are slimmer in width. It was complimented by the delicious minced meat coated in dark sauce and crunchy stalks of vegetables. Who says plain look YTF is no good? Well, the taste of soup is simply out of my expectation! Items included were fresh and yummy! And here's the complete set of my lunch!